The Crescent City offers endless opportunities for fun and food lovers, and we narrowed them down to the top five must-attend events. Are you ready to explore them all? This crazy celebration has made New Orleans famous! 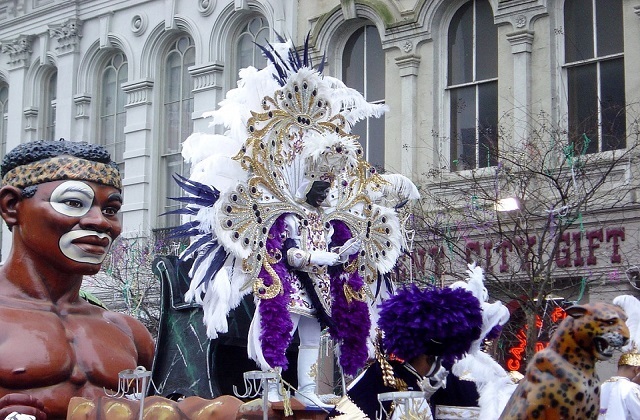 Here Mardi Gras is not just another day, not just another festival. 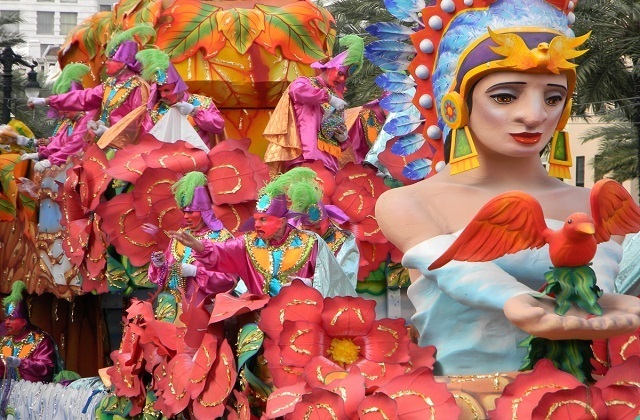 Mardi Gras is the most vibrant, most insane culmination of the carnival season in Louisiana. These days are all about parades, music, alcohol, and creative self-expression, so participants need to prepare thoroughly for months. Mardi Gras features lots of traditions, and participating streets have their own atmosphere to share during the celebrations. For example, beads and coconuts are valuable items during the Mardi Gras days, and people can multiply their treasures by participating in different competitions. The brightest festivities take place on Fat Tuesday, one day before Ash Wednesday that marks the beginning of the Lent period in Christian traditions. The annual Tennessee Williams/New Orleans Literary Festival happens each spring in New Orleans. It honours the world-famous playwright who called New Orleans his home during a creative period in his life. Each year, the festival gathers top playwrights, speakers, authors and actors for literary panels. It also provides master classes with other published authors. Five days of the festival are packed with theatrical performances of original works, readings, culinary events, cocktail parties, movie screenings, literary walking tours, and book signings. The festival’s favourite is the “Stella!” shouting contest in the French Quarter. Go and watch these hopeful participants dressed in Stanley Kowalski-style sleeveless undershirts shouting the most convincing and pathetic appeal to the judges standing on the balcony of the Pontalba Apartments on Jackson Square. Female contestants are allowed to shout “Stanley!” Festival-goers enjoy special hotel rates. Many events at the festival are free. This festival has been reminding New Orleanians how fabulous the French Quarter is since 1984. Nearly two dozen stages are set around the Quarter, and food from the city’s finest restaurants draws visitors to over 60 booths in Jackson Square and beyond. Celebrate life and live with the locals and tourists with city’s best music and cuisine during the second weekend in April. Four days of the Festival are filled with sounds of jazz, R&B, Latin, New Orleans’ funk, zydeco, rock, and swing performed by over 100 musicians. The festival's signature event is the "world's largest jazz brunch" across Jackson Square, Woldenberg Riverfront Park, and nearby locations—incredible selection of beverages and specialty items from the finest restaurants in New Orleans. It’s a challenge to visit top city’s restaurants during one trip to New Orleans, but easier to check them out during this weekend. The Festival also offers free tours to the hidden gardens and patios of French Quarter houses, art shows, film screenings, crawfish-eating contest, and much more. The Jazz Fest is a celebration of the unique heritage of New Orleans and Louisiana. The festival is held every year over the two spring weekends—the last weekend of April and the first weekend of May. It was inspired by the spirit of the Eureka Brass Band and Mahalia Jackson back in 1970, and today it is one of the most important cultural events in the US. Here, you’ll find it all from gospel hymn, zydeco, jazz, blues, rock, and funk to R&B, African, Caribbean, Latin, and folk music. New Orleans Jazz & Heritage Festival features the chart-topping local artists alongside internationally renowned guests. Red Dress Runs take place all over the USA, but the Red Dress Run in New Orleans claims to be the biggest one. Thousands of people turn out in their beautiful red dresses each year. You don’t want to miss such an exciting event organised by the Hash House Harriers (self-proclaimed “drinking club with a running problem”). Add some bizarre costumes, lots of alcohol, and live music, and there you go—one of the best 5k(ish) events is ready! Well, it’s not only for fun, but the Run is also a great fundraising event and supports local charities. The NOLA Red Dress Run falls on the 2nd Saturday of August, rain or shine. The route is usually kept in secret until a few days before the Run. Usually, it goes through the Marigny. Participants have to wear a red dress, and it’s considered a bad form running in the same dress two years in a row. The organizers also provide some over-the-top clothing so you can dress up right before the run. Only adults aged 21+ can participate. The registration costs around $60-65 depending on your sign-up date.